Medical use? Recreational Use? Federal vs. State? These are many of the common questions and concerns your average patient has with respect to cannabis today and the answer isn’t quite as clear as we would like it to be; however, there is a linguistic trend steering towards the term “medicated” to replace, the pejorative, “high” for cannabis users seeking medical relief. Schedule I drugs, substances, or chemicals are defined as drugs with no currently accepted medical use and a high potential for abuse. Some examples of Schedule I drugs are heroin, lysergic, acid diethylamide (LSD), marijuana, (cannabis)l, 3,4- methylenedioxymethampetamine (ecstasy), methaqualone, and peyote. Yet, as cannabis barrels onto the public scene, there is more evidence surfacing for suggested medical uses. GW Pharmaceuticals has essentially broken the mold with Epidiolex; a prescription medicine that is used to treat seizures associated with Lennox-Gastaut syndrome or Dravet syndrome in patients two years of age and older. 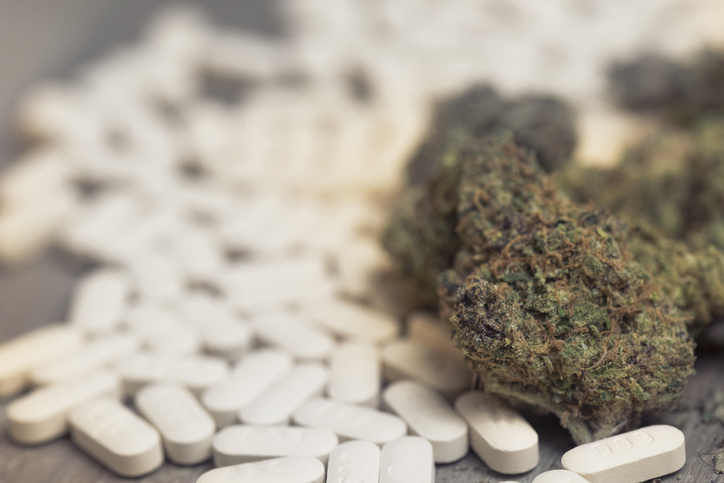 Epidiolex is the first and only FDA-Approved prescription cannabidiol, so how did they do it? The Orphan Drug Act provides for granting special status to a drug or biological product (drug) to treat a rare disease or condition upon request of a sponsor. This status is referred to as orphan designation (or sometimes “orphan status”). For a drug to qualify for orphan designation both the drug and the disease or condition must meet certain criteria specified in the ODA and FDA’s implementing regulations at 21 CFR Part 316. Under the Orphan Drug Act, the FDA may grant such a designation for medications that specifically target a rare disease or condition. In 2013 and 2014, the FDA granted such status for Epidiolex. Now, almost four years later and with FDA approval, the DEA was forced to re-consider the medical acceptance of cannabis derived medications. To wit, on September 27, 2018, an announcement was made by the Department of Justice and the DEA declaring that Epidiolex was being placed in “Schedule V” of the Controlled Substances Act, the least restrictive schedule of the CSA. Such a drastic jump from Schedule I to Schedule V is virtually unprecedented and inherently conflicting as it acknowledges that a plant-based derivative — a component — of the Schedule I substance has a definite medical use. Will this represent a turning point in what is deemed “accepted medical use” and create a foothold for other cannabis-based products to enter the medically accepted sphere?